A new study from Yale University shows that glucose levels are reduced in the brains of individuals with obesity and type 2 diabetes compared to lean individuals. The finding might explain disordered eating behavior — and even a higher risk of Alzheimer’s disease — among obese and diabetic individuals. Both obesity and type 2 diabetes are linked to decreased metabolism in the brain. This hypometabolism is also associated with Alzheimer’s disease, but researchers have not pinpointed why. To examine the mechanism, the Yale team studied brain glucose levels in three different groups of adults: individuals who are lean and healthy, and those with either obesity or poorly controlled type 2 diabetes. After fasting overnight, the study participants received intravenous infusions of glucose for two hours. During the infusions, the researchers used a brain scanning technique — magnetic resonance spectroscopy — to measure levels of glucose in the brain. While blood glucose levels among the participants were similar, the researchers detected significant differences in brain glucose. Among the obese and diabetic participants, “we found decreased or blunted entry of glucose into the brain,” said first author and assistant professor of medicine Dr. Janice Hwang. That blunting could be one mechanism that undermines the ability of the brain to sense glucose, she noted. The researchers also rated participants’ hunger, satisfaction, and fullness before and after the infusions. “The lean people who had more glucose entry into the brain also felt more full, even though they hadn’t eaten overnight,” she said. 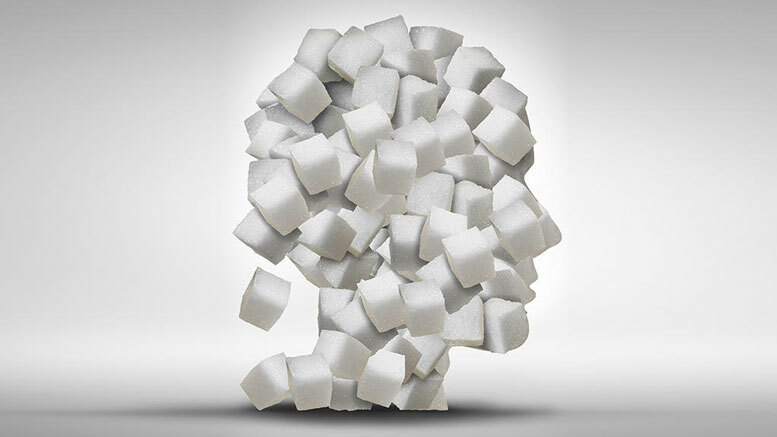 The study points to the importance of sugar transport from the blood into the brain as both a target for further research and possible pharmacological intervention in people with obesity and type 2 diabetes, the researchers noted. Other study authors are Lihong Jiang, Muhammad Hamza, Elizabeth Sanchez Rangel, Feng Dai, Renata Belfort-DeAguiar, Lisa Parikh, Brian B. Koo, Douglas L. Rothman, Graeme Mason, and Robert S. Sherwin. This study was supported in part by grants from the National Institutes of Health, and the Yale Center for Clinical Investigation, supported by the Clinical and Translational Science Award, the Endocrine Fellows Foundation, and the American Diabetes Association. Hwang reports research support from Pfizer and Regeneron. 1 Comment on "Yale Study Finds Lower Brain Glucose Levels in People with Obesity, Type 2 Diabetes"
Type 2 diabetes appears in people who are not obese, as well. The two do not automatically appear together. I have never been obese, and I am Type 2. I gained some weight during menopause, but lost it again and am now of average weight.